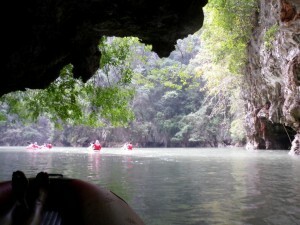 19-24 Phuket: Phang Nga bay and Raya – Do your dream! 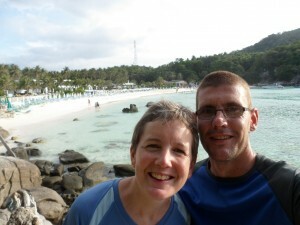 Our first day in Patong beach was spent getting our bearings and exploring the beach. Our hotel /guesthouse is superb and is just behind the spectacular Jungceylon shopping centre which could be plucked from any top flight city. Slightly out of place here, and scary to see all shops and restaurants priced at UK prices, and even weirder is that it is busy with westerners! 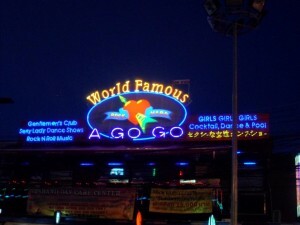 The rest of Patong is, as expected, overly touristy and busy, and really not a special place – apart from the vibe it has as if everyone knows there is a big party going to start. And pretty much, it does every night. Now we’ve been to a few iffy places; we’re very open minded; and really quite chilled on most things. Bangla road and the Soi Crocdile/Sea Dragon however pushes the boundaries a little bit. At night, it is probably the, erm, “most interesting” mainstream street we’ve seen. It does boast one hell of an atmosphere but you know just behind the front shows it is beyond most peoples imagination. 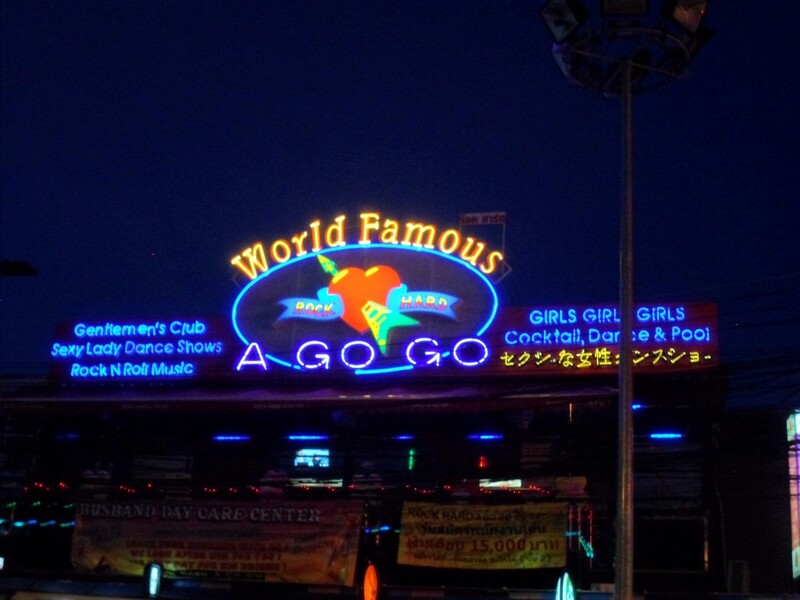 Unless you are a clubber; like ladyboys; or like more bizarre things than us, then a few days in Patong is sufficient – especially as a gateway to the islands. Even the food/street food isn’t great here. We stayed in Patong due to its location to the islands between Phuket and Krabi, as well as Phang Nga bay. We wanted to go to see “James Bond Island” and looked into a DIY trip as we like doing things ourselves, but after our hosts quoted us 1200 bhat (£25) for a day trip with other bits discounted from 2,900 bhat (£60) list price – it was a no brainer to go on the trip;. So on cue, a minibus collected us and deposited us on a pier and got us the boat for the day. 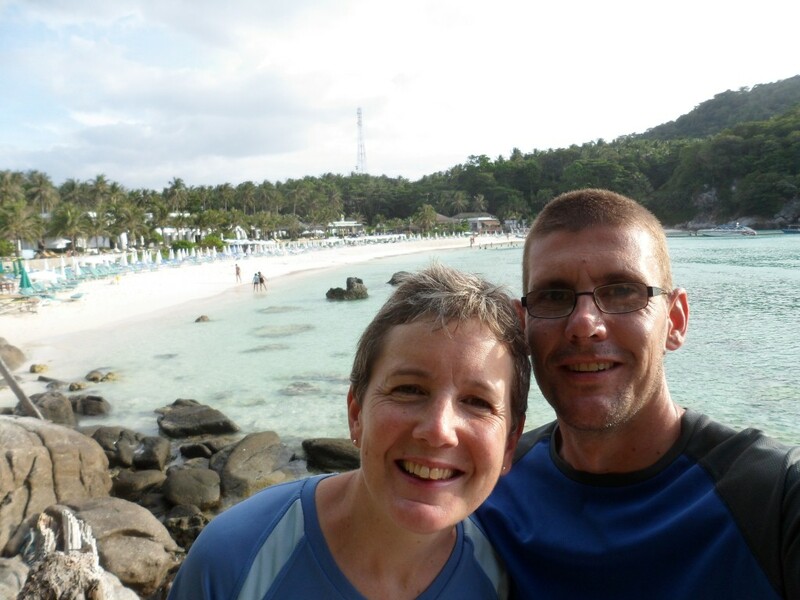 Our first two stops Naka Island and Nong island. These are both limestone islands (like at Khao Sok) – but the sea has worn caves into them you can canoe through with a guide – through tight tunnels (having to lie flat in canoe..) which open up into spectacular lagoons. The entire islands are like hollows. Photos won’t show it, but it is a must see (though after a while they look the same 🙂 ) Nong was the most impressive with 3 consecutive lagoons. 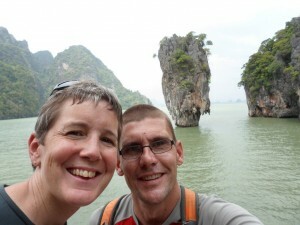 Then after lunch, on to James Bond island (Ko Tapu). This has to be said is a tourist trap magnet. You get 30 mins on the island which is plenty, as it is tiny and 50% of the beach is tourist-tat sellers (nothing Bond related). But the views and the scenery are worth a look and make the trip worthwhile. On our way back we stopped for a swim at a little beach in a “safe place” – but the current was too strong to swim against so a bit dangerous really. The guys on the boat had to go and collect someone, and Mel needed help as her dodgy shoulder stops her swimming at full strength. 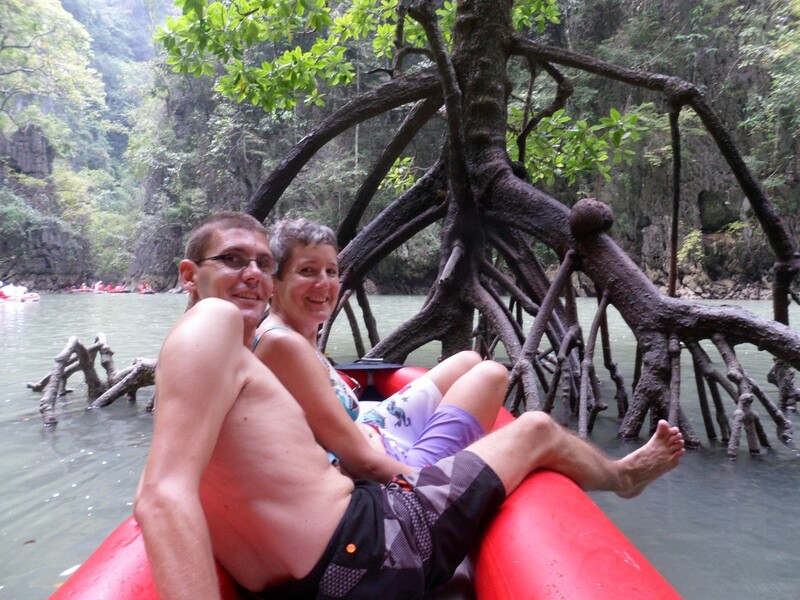 All in all – an excellent day at a bargain price, even if a bit touristy. The following day we continued our Patang exploration and in a storm went to see the latest Mission Impossible film in the cinema – bargain £2 for a decent seat! 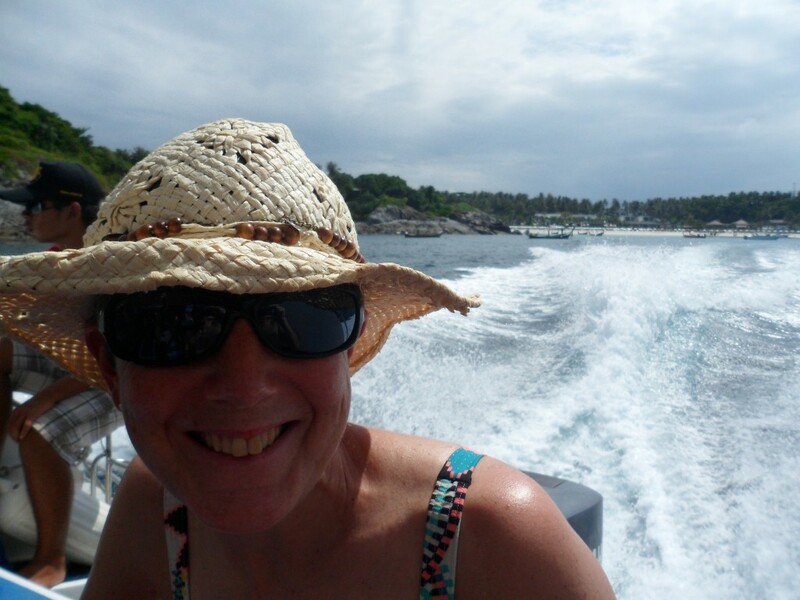 Our second tour was an overnight trip to Raya island by speedboat with some snorkelling. Mel survived the speedboat there (just! ), and due to the wind and rough seas the snorkelling was only okay rather than spectacular. However Raya itself is a stunning place. Quiet and unspoilt, and the two main beaches are soft white sand with warm clear sea. It is quite something and the sort of place you’d not mind being stuck on. Our accommodation was basic, but the place itself was fine and the food was good. Our only real complaint about Raya is the price of icecream – though this is to be expected sadly.